Singh is now poised to take a seat in the House of Commons so he can begin shifting the discussion away from his embattled leadership to what the NDP intends to champion before the fall general election: affordable housing, pharmacare and real action to combat climate change. Jagmeet Singh stepped before the microphones late Monday night, savouring a rare moment of victory. After 16 months without a seat in the Commons — and dire warnings from within his own party that he'd either win the seat or find himself looking for another job — the NDP leader defied his critics and the pundits by capturing Burnaby South. "To Burnaby South, thank you for trusting me to be your member of Parliament," a jubilant Singh told the crowd at his election headquarters. Singh led throughout the night over his main rivals, Conservative candidate Jay Shin and the Liberals' Richard Lee. 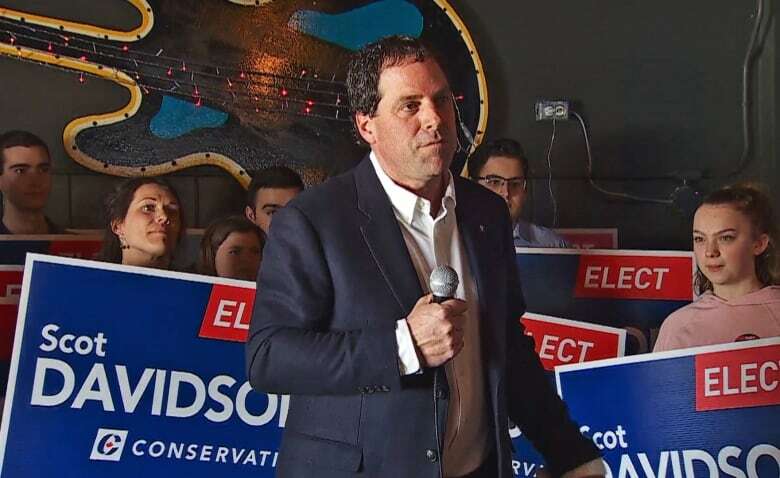 Some will still suggest that Lee, a long-time provincial politician, had too much ground to make up after the Liberals original choice was forced to resign mid-campaign after making remarks in Mandarin about Singh's ethnicity that were considered offensive. 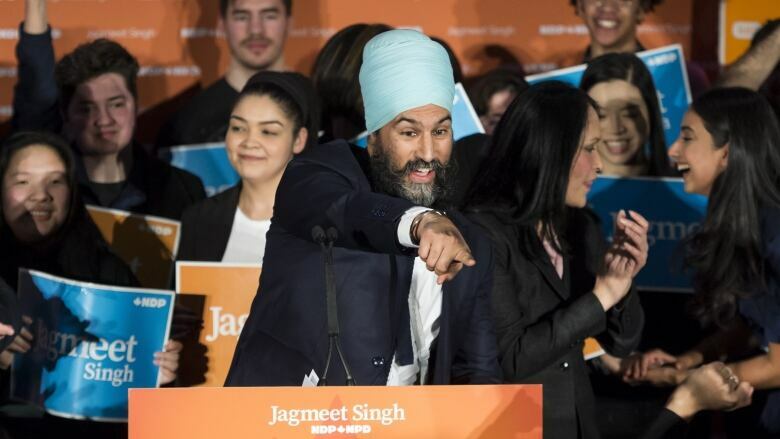 Some Liberals even suggested, privately, that a Singh victory wouldn't be such a bad thing for them given his uneven performance as leader, and their hopes of repeating their success poaching NDP supporters in 2015. Whatever the reason, Singh is now poised to take a seat in the House of Commons — poised, finally, to begin shifting the discussion away from his embattled leadership to the issues the party intends to champion in the few months remaining before the fall general election: affordable housing, pharmacare and real action to combat climate change. "With this win, people will get to see a progressive alternative to Justin Trudeau," said James Smith, Singh's campaign spokesperson. "Conservatives won't push for more affordable housing, or for universal pharmacare. Jagmeet gets a chance now to stand up for those values on the national stage." That's the good news for the NDP. Good news for the party these days, however, always seems to come mixed with the bad. In this case, New Democrats have to balance Singh's personal win against the loss of Outremont, the closest thing the party had to a fortress in Quebec. The Liberals resoundingly reclaimed the Montreal riding held by Singh's predecessor, Tom Mulcair, for the past decade. Mulcair's 2007 byelection win gave the New Democrats a beachhead in Quebec. It was only the second time a New Democrat had ever won a seat in the province. Four years later, Outremont became the epicentre of the so-called Orange Wave that swept across Quebec, giving the NDP nearly 60 seats there and vaulting it into the official opposition in Ottawa for the only time in its history. Still, Monday's result in Outremont was not unexpected. For the Liberals, winning in Burnaby South would have been significant — more of an indication of momentum, especially in the wake of two weeks of negative media coverage from the SNC-Lavalin affair. In Quebec, opinion polls have unblinkingly recorded the decline in NDP support ever since Singh became leader. As it stands, the party might have trouble holding a single one of its 16 — make that 15 — seats in the province after Monday night. 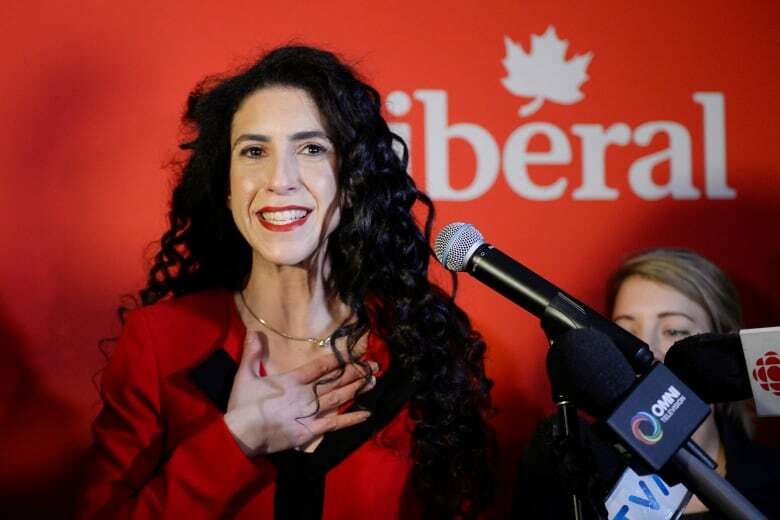 Liberals insist the win in Outremont is a good omen for them, a clear indication that they are on track to increase their seats in a province that may well be decisive to their chances of winning a second term. Outremont is also the third byelection in which the Trudeau Liberals have taken an opposition seat, joining Lac Saint Jean, Que., and South Surrey-White Rock, B.C. Both had been held by Conservatives. The Conservatives, as expected, won handily in the Ontario riding of York—Simcoe. And they did so despite the presence of candidates from Maxime Bernier's maverick People's Party of Canada. The PPC did surprisingly well in Burnaby South. The party's candidate took about 11 per cent of the vote there, most of it from the Conservatives. In the other two races, Bernier's candidates barely registered. What does that mean? Possibly very little. But Conservatives will have to consider the potential impact of vote-splitting with the People's Party this fall in swing ridings, where even a small amount of vote bleeding just might mean the difference between them and the Liberals. But the big story of the night remains Burnaby South. The prevailing wisdom was that Singh would have a tough time winning the riding for any number of reasons. Start with the results in 2015, when the NDP won Burnaby South by fewer than 600 votes. Add in the fact that Singh's political home, until recently, was halfway across the country in Ontario. His political experience was based on his time in provincial politics there. The polls have been similarly unkind since he became leader in October 2017. NDP fortunes took a tumble with each Singh stumble, whether it was not knowing the party's position on a gun control bill or his decision to boot MP Erin Weir from caucus after complaints that he made women feel uncomfortable. The party's fundraising has also been weak, with the NDP lagging far behind the other two major parties. And just to finish the pile-on, let's observe that fully a quarter of the current NDP caucus isn't running again. That made Burnaby South an interesting choice for a rookie leader who had what appeared to be everything to lose in this race. But it proved to be a good laboratory for testing the tolerance of progressive voters in one of this country's most diverse ridings. Half of the people who live there were born outside Canada. It's also exactly the kind of riding Justin Trudeau has cultivated, said Shachi Kurl, executive director of the polling firm Angus Reid Institute, with tax hikes on the rich, the tax-free child care benefit and promises of new money for infrastructure. "This is middle-class ground zero, middle-class central," said Kurl. "This will be a good assessment of whether people think Justin Trudeau's delivering or not." Three byelections. Three winners from three different parties. For the candidates, an exciting conclusion to three exhausting campaigns. And the winners, at least, will get to do it all over again in just a few months' time.